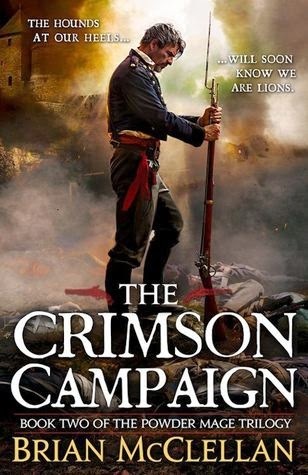 Synopsis for The Crimson Campaign can be found here. This is book two of the Powder Mage trilogy. Review for book one (Promise of Blood) can be found here. When we were kids, our parents would have these ideas. They would have these ideas that they know what is good for us. They would talk to us, maybe we would listen contently, maybe we have a complete and utter melt down of catastrophic proportions. I was a member of the latter response group. I knew what I wanted. I knew what was good for me. I knew me. I wasn't about to listen to what anyone else had to said. Anything they wanted to give me would be unknown and the unknown is scary. And my response to scary was PANIC! So, one day my parents took me out. We were walking down the lane, watching the passerby's, watching the lights and hearing the sounds. We treaded familiar ground, and I was the happy little kid smiling, running (not too far), jumping about. But, then it happened. Someone had gotten the idea that they knew what I would like. They knew me better than I knew me. And they pointed me in that direction, and the tantrum commenced - stomping, screaming, flailing. I knew what I liked, and if I didn't know it, well, I didn't like it. So, I screamed my tiny little head off. I was not about to go on the Runaway Mine Train at Six Flags Great Adventure. Now, the runaway train is a roller coaster much like the water from my kitchen sink is a waterfall. I kicked and screamed and put up a fuss, and in the end, it was fun. I learned something about myself... I liked roller coasters (as long as they didn't go upside down). 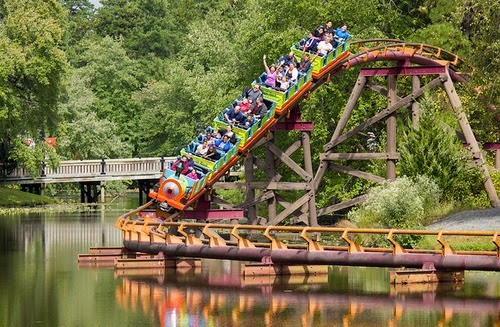 Several years later, and I became one of the older kids still too "scared" to get on a looping coaster (Psh, I'm not scared, I just know I don't like it). This time there wasn't so much kicking and screaming involved, however there were some false starts and delay of games (mixing metaphors a bit, oh well), but after some psyching myself up, I got myself on... I honestly don't remember which coaster it was. But forcing myself into something new caused me to learn a little something about myself. I love roller coasters. I was so set in my "change bad. unknown bad." ways that I might not have learned something new to like. With Promise of Blood, I was getting myself on the runaway train; something new I hadn't tried - flintlock fantasy with a strong military setting. And I discovered that I like that. 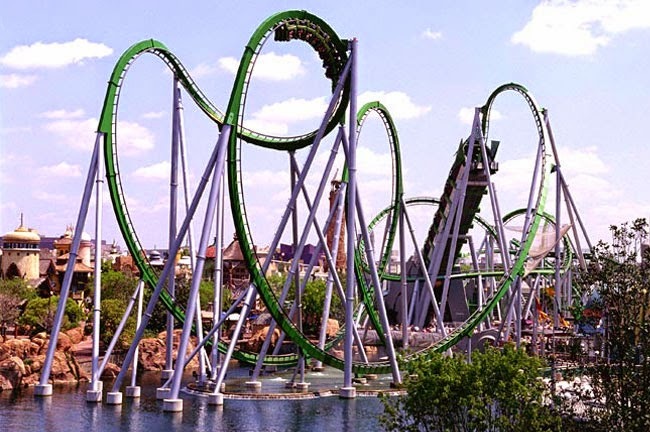 With The Crimson Campaign, I have ridden Batman or The Incredible Hulk (pictured - did they rebrand that now that Disney owns Marvel? ), and I now love me some flintlock fantasy. McClellan weaves an intricate story of war, religion, and magic. The magic system - gunpowder magic - is interesting and fun as the powder mages deal with common soldiers and more traditional magic users. There is some ambiguity on who is right and wrong, good and bad. There are gods amongst men (I was afraid this wouldn't work - it works here). The pacing is incredibly fast and keeps you sucked in. I am a little late to the game with McClellan's works. But on the bright side, book three comes out in February - so not too long a wait for me. I wasn't sure I'd be into flintlock / military fantasy. But now I know. …I'd like to add that you didn't know you liked cheesecake until you were over 30. Mmmhmmm. I'd be wary of using cheesecake as a comparison if only because the word means something else entirely in the comic book world. But I do love me some delicious, delicious cheesecake. I wonder if there's a cheesecake factory near my office. I really like your rollercoster analogy :) I find going into unknown genres uncomfortable as well. I haven't read any... umm "flintlock fantasy", but "gunpowder magic" sounds really cool! It is certainly neat. An unexpected pleasure. 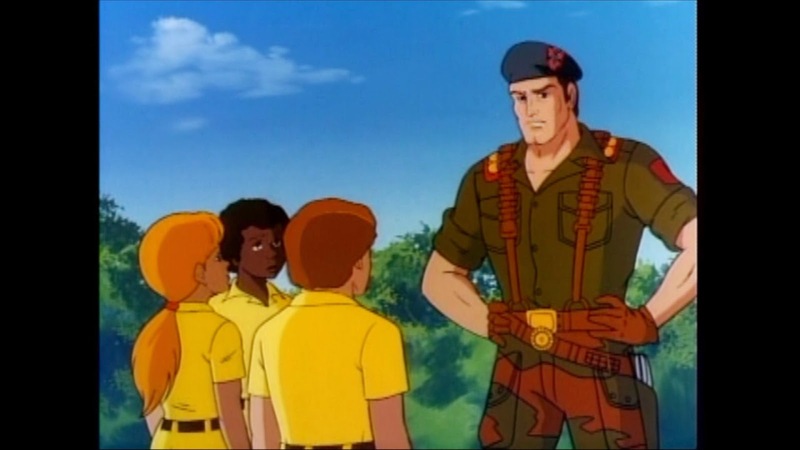 I know Django Wexler is writing flintlock military stuff too. I may have to check him out as well. I'm afraid this happened during my rather long hiatus. Appreciate the sentiment. Thank you.